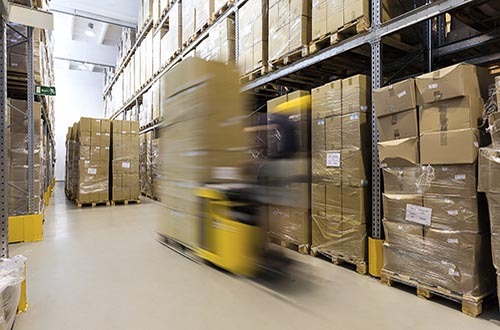 buy now Citi-Cargo and Storage has more than 30 years’ experience offering warehousing, supply chain, and 3PL solutions in the Minneapolis/St. Paul, Fargo/Moorhead metro areas, and throughout Minnesota and North Dakota. click here Efficient order fulfillment is top-of-mind for competitive businesses in the marketplace. We offer leading-edge inventory software so our logistics teams have the power to view and change inventory from anywhere. Learn moreabout how our customized warehousing and distribution services but your business first. click here When your company needs to adjust its logistics infrastructure to meet the ebb and flow of customer demand, Citi-Cargo and Storage has got you covered. We can help make sure you’re not scrambling for resources or paying for space you don’t need. Our relationship with 3PL logistics services mean we can pull together a solution in no time, giving you a 360 view of your supply chain so you can optimize your logistics. Read about Citi-Cargo’s 3PL solutions. order now These are the industry buzzwords for making sure your customer gets what they expect: their goods and services how and when they want them. Companies use a POI – Perfect Order Index – to measure customer satisfaction. Part of a high POI score is keeping inventory on hand and organized, and getting it where it needs to go as quickly as possible. Learn about our logistics services. click here Today’s instant gratification culture requires more packaging and faster shipping for smaller quantities than ever before, whichtakes a toll on the environment. Whether your customers are local to our Minnesota, North Dakota, Twin Cities, Fargo/Moorhead service areas, or beyond, our logistics solutions and supply chain resources are an ideal solution. We also think that great service is personable and local. Real, live humans answer our telephone, and when you work with Citi-Cargo, you can know you’re supporting a locally owned, long-time business with years of experience serving Minneapolis/St. Paul and greater Minnesota, and the Fargo/Moorhead and greater North Dakota regions. Contact Citi-Cargo & Storage today for additional information on our complete range of 3PL and supply chain services. Our 3PL services offer an ideal solution to a range of logistics-based problems. Whether you’re looking to establish a presence within a new market, increase on-time performance and efficiencies, quickly build a distribution network without a significant capital investment, or need an operation that can rapidly scale to your needs, Citi-Cargo & Storage is the perfect choice.